For experienced neonatal nurses, the natural “next step” in career advancement is often to prepare for a future role as a Neonatal Nurse Practitioner (NNP). Advanced practice roles in Neonatology are among the oldest and most respected of all advanced practice roles in the U.S. Graduate programs in Neonatology require significant time and financial commitments on the part of students; however the return on that investment is substantial. The University of Connecticut’s (UConn) 44-credit program is taught by the UConn School of Nursing faculty who are experienced Neonatal Practitioners actively working in the field. 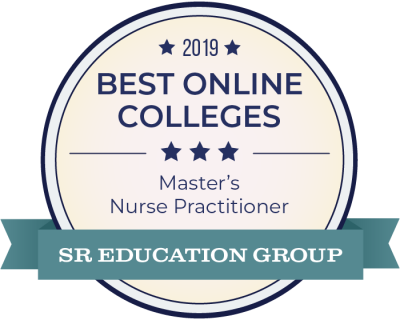 Coursework is delivered fully online with three on-campus visits required over the course of the program; one visit for orientation and two visits for UConn’s specialized program of leveled simulation experiences. In addition to the standard admission requirements for the Master’s Program, admission to the NNP Program requires completion of a minimum of 2 years, full-time, RN-level practice experience in a level three neonatal intensive care unit prior to the beginning of clinical practicum courses. Graduates are prepared to work as Neonatal Nurse Practitioners. Nurse Practitioner graduates are eligible to apply for the Neonatal Nurse Practitioner examination given by the National Certification Corporation for the Obstetric, Gynecologic, and Neonatal Specialties. Students can earn their Master’s degree with a part-time or full-time plan of study. The full-time plan of study includes five semesters. The part-time plan of study includes six or seven semesters, depending on whether it starts in an odd or even year. Click HERE to view the plans of study. Due to over-enrollment, we are no longer accepting applications for the Full-Time or Post-Master's Neonatal Nursing Master's programs for the Fall 2019 semester. Join our mailing list and we will notify you when application is open for the Fall 2020 semester. Limited space is available for Part-Time Fall 2019 applicants. The Part-Time Neonatal Nursing Master’s program application is open through 6/15/19. Below are several links to videos produced by the National Association of Neonatal Nurse Practitioners (NANNP). They provide a window into the Neonatal Nurse Practitioner profession.